Years ago thru much reflection and world exploration, I figured a lot of stuff out...and assumed for awhile maybe I was the only one. Then the other day, thru the best of luck, I stumbled across this site. Okay so I'm not a "joiner" first off, and would normally not invest time with a bunch of Internet writing, but there are free people here with the guts to say the truth, and that matters, and it is worth it to add one more free person to the count. Guess what, this is the most important topic in the USA, has been for decades, and nobody is talking about it. I'm getting the hell out anyhow, but if it will help even one clueless USA guy out there reading this, then it is worth it. Here is my background. Never really wanted to get married or have kids. About five years ago I decided okay maybe married but not kids, and not interested into going down the path everyone goes down (arguing, selfishness, self-destruction). So...you look around for a good one. You start looking at the women, you ask them a question and listen carefully to their response, and you see where the future would go with them, and that future is unacceptable. This went one for a year or two and if I was any other guy I would have probably given up and accepted a soon to be hell life with a dissatisfied woman, but I'm blessed or cursed with an inability to give up, and thank freakin' nature for that. After exhausting all solutions to the problem it occurred to me (duh) "hey man you are only looking at women of your culture". There was something unnatural that didn't feel right here, how can I be the only sane person?? Everyone else wants to walk off a cliff, that doesn't sound fun to me. And so I expanded the possibilities to include the whole world to see if that would yield different results. That decision opened up everything, and changed me life, one of those huge "now I get it" moments would come out of this decision, and I wish every US guy could experience that. First I dated a lot of Asian-born women living in the US. Certainly better human beings with better values overall, but my instinct said something was wrong with them, and I trusted my instincts. I'll post my observations on this topic later. Next I booked a two week holiday in Shanghai during the good weather of moon cake festival. I learned some Mandarin and some about the culture before going. The best time of my life. When in China do as the Chinese do, I really let myself get into the culture and see their world from their perspective. I had more women than I could keep up with, there were a dozen that I was in contact with, there were four I was dating seriously, simultaneously. The most amazing humans I've met: open, honest, sincere, optimistic, clear, fun loving, joy filled, caring, amazingly beautiful (I'll post details about SH girls in the future). It was a total change: in the US during two years studying the local selections I didn't see ONE person I could see a positive future with, and in two weeks in China I found FOUR people I could see a future with, and absolutely considered that, with one girl in particular. As it turns out however I was back in the states after a few SH journeys and met an amazing Korean woman and I knew instantly. You gotta ask a lot of questions, you gotta understand the woman's values. She is a beauty and strong in her traditional Korean values, she gets that US women want to drag her into their dissatisfaction, and she is wiser than that. Instead she teaches them to respect their man!!! That told me everything I needed to know about her, after 3yrs I finally found a good one. Anyhow our life has been great since. We are in the US now (and we don't like that one bit) but are relocating to Seoul in a few months. Maybe after a few years China? I make good money independently and we can move around kid-free and enjoy the world. Looking forward to talking to people here, sharing info on local customs, prices, housing, etc. I speak basic Mandarin and Korean, know Shanghai fairly well, Beijing a little, and Seoul thru my wife and my visits. Last edited by sushiman on March 24th, 2011, 8:59 pm, edited 1 time in total. Hello sushiman, glad you found our site! Foreign women as you found out are far more open, friendly and more feminine than American women are. Sounds like you and your wife are very happy together. You are so right that people need to know about these truths and topics. Just today when me and Dianne were at Sbarro in the mall, a Western guy who looks like a "laid back freethinker" type talked to me cause he saw that I was a vegetarian too when I asked if the spinach lasagne had any meat in it. After a while, I handed him a pamphlet with the three point comparison of this site on it. After he ate for 10 minutes and read my pamphlet, he did said, "Wow. Those are excellent points and so true. More guys need to hear about this. I'll definitely be in touch with you about this. Very impressive." Then Dianne said to me, "I'm proud Winston, that you're able to tell truths that others aren't. I'm lucky to have met someone as unique as you are, despite your flaws." Oh and yeah, our forum is full of freethinking people who are liberated psychologically from conformity and political correctness. That is very refreshing indeed. Glad you noticed. Anyway, so you're with a Korean woman now? That's a rarity. Korean women are not known for being very open or approachable. How did you pull it off? They are very attractive though. Last edited by Winston on March 24th, 2011, 8:03 pm, edited 1 time in total. Yeah Korean women are absurdly hot. Actually I had a Korean GF before I got married (hot) but was so crazy I swore off those women forever. But then I met the wife and she sees things beyond just her culture, like me, so that worked. But yeah in general it is a closed club. Korea is 99.999% Koreans, they know nothing about foreigners and aren't that interested to know. They dont need money. They have a very healthy culture and happy people so I applaud them for defending it. But they can go a bit far in their suspiciousness toward outsiders. I just said "anyohasseyo!" and then stuffed my mouth with a fat wad of kimchi and won her family over instantly. Same as in China, once they see you like their culture, dig their food, and took some time in the language you are not a typical whitey and may be let in. The other way is if another Korean woman has given you the thumbs up, then others too will assume you are okay. Also they are very conservative and so you gotta go slow, I think guys go too fast and scare them off. But once you are in a Korean girl will do anything for her man. It is a club basically and you gotta have secret handshake. Ive chowed sushi that is still moving, I'll eat anything but unagi rules. So what questions do you ask the women to screen them out? Are these women fluent in English? What language do you primarily communicate with them in? Your current woman has been living in North America how long? Do you think she is Americanized to any degree? When you were in Shanghai, where did you meet them? Public transportation? Hotel workers? Shopping centers? Personal introductions? It's good to have another intelligent guy here who's done some travelling. Re: My story good so far, getting out next! 1. 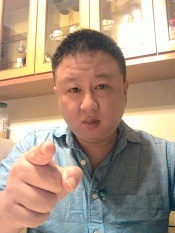 If you are serious about marriage, why would you want to go for a Fillipina or other SE Asian when you could get a woman from NE Asia who generally won't expect you support her family, will work and/or study hard, treat you with respect, look refined, classy, and presentable, age gracefully, and be completely loyal and faithful to you for life. 2. SE Asians might be better for guys who are older, lazier, and/or less demanding about looks and class. I may be wrong but I believe the re-sale market in NE Asia is weak because divorce rates are generally still lower and divorcees generally do not put themselves back out on the dating market the way American women do. China might be an exception to this though if you dig a bit, not sure. And for guys who want girls to just fall into their laps, poor SE Asian girls are probably easier. However, I bet middle class girls and above from PI (and perhaps Thailand to an extent) are a bigger challenge than their counterparts in NE Asia, at least for foreigners. 3. I will add that some Korean American girls can be a lot tougher than most any white girl, at least in a competitive business environment. I worked with one of these before (she was in our NY office) and my friend in LA reports to one at his company. These types are ambitious and aggressive and certainly not fun to compete with or report to. Adama wrote: When you were in Shanghai, where did you meet them? Public transportation? Hotel workers? Shopping centers? Personal introductions? As a starting point a month or so before your trip you can log onto AsianFriendFinder or Match or whatever and just let the girls know you will be in town and maybe she can come grab coffee with you, and show you around. You'll have more than you know what to do with, I had girls picking me up at airport, coming to get me at the hotel each day to go out and explore, ha I never did anything for myself. Actually one of them kinda turned into a stalker, a sweet pretty stalker, but I just couldn't shake her! They can be very aggressive. Leaving in a matter of weeks, ain't commin back either. sushiman wrote: Leaving in a matter of weeks, ain't commin back either. I'm right ahead of you. I'm leaving for Italy next Tuesday to join my Italian wife and our son there. I'll hold the door open for you! Just sold my last car today. Just need to pack and I'm outta here. Yeah I sold my car last week, it feels great! Hello from Tyrell. Here's my story.